The CFR is controlled from New York by the Maltese Knights of the Round Table. The Archbishop of New York is the leadership behind the CFR. Remember also the CFR was created by the Sovereign Military of Malta. Now also the Archbishop of NY is the leadership of this organisation within the Americas. The CFR control Israel as well as the U.S region. All orders for the U.S President originate within 'The City' of London and get handed out by the Royal Institute of International Affairs. This then goes through the Morgan Guaranty Trust & Bank which then goes into the hands of the U.S Secretary of State. Its this persons role to then inform the U.S President of his London masters wishes. Remember every U.S Secretary of State gets chosen by the R.I.I.A in London and have done since 1919. Take a look at this 1300+ page (Tragedy and Hope) book by the very JESUIT who William Clinton never stops talking about, Prof Carol Quigley. Now notice that Quigley is from the all powerful Georgetown "Jesuit" University. This book will have a lot of truth in it but of course the Jesuits will be hidden as usual wink.gif If you wish to know more on 'The City' in London as mission control then this is the book. Originally taken off the shelves when it was first published and then the plates were smashed to the first half of the book to surpress it. This act made Washington a "Rome on the Potomac." The 14th Amendment was now in place (1868). The Federal Republic had been converted into an Empire. By 1873 with the Slaughterhouse cases, the Supreme Court had ruled that the "privileges and immunities" of 14th Amendment citizenship "did not include Common Law rights," later defined as the "Bill of Rights" in Maxwell v. Dow (1899). By 1900 Rome took this country and kept it, James Cardinal Gibbons being the first American Pope. He ruled every president from Grover Cleveland to Warren Harding. Yes, Washington is indeed Rome on the Potomac. The Department of Justice is Washington's Holy Office of the fascist Inquisition, and the FBI, the IRS, the FDA, ad infinitum, are the Holy Office's inquisitors. The courts are not article 3 courts but are article 2 courts under the Commander-in-chief. These courts are courts of war as every action against a citizen is filed in all capital letters, indicating the defendant has a nom de guerre---a name of war. Yes, we are all in the military fighting the crusades for the Pope and paying for those crusades with income taxes on wages---the Supreme Court having never defined "wages" as being "income." The Pope's Holy Roman Fourteenth Amendment American Empire is governed exactly as is the Pope's Vatican Empire, income taxes and all. SOVEREIGN MILITARY ORDER OF MALTA RULES FOR THE POPE AND JESUIT GENERAL! The CFR is a secret society in that it forbids the taking of notes or the publishing of minutes of its meetings. Any member who divulges the subject or any part of any conversation or talk that took place during a meeting is terminated. The goal of the Council on Foreign Relations is a New World Order. George Bush is a member of the CFR. Knights of Malta play a powerful role in this scenario. In the 1930s General Smedley Butler was recruited to help take over the White House. He was told that he was needed because of his general popularity with the military. General Butler blew the whistle and named several prominent Americans as part of the plot. At the top of the list was John J. Raskob, who was a founding member of the U.S. branch of the Knights of Malta. He was board chairman of General Motors. He was, at the time, the U.S. Treasurer of the Knights of Malta. Congressional hearings were held to investigate the plot, but none of those named, including Raskob, was ever called to testify and nothing ever came of the hearings. Although you will find this in the Congressional records, you will NEVER find it in ANY history book anywhere. It is significant that the Iran-Contra episode has many similarities to the 1930s plot. William Casey was a member of the Knights of Malta. William Casey, with the help of Vice President Bush, Anne Armstrong and Donald Regan, caused the President's Foreign Intelligence Advisory Board to be emasculated so that Bush, Casey, North and others could carry out their dirty deeds without oversight. They had also developed a plan to suspend the Constitution of the United States and were preparing to implement the plan when they were caught. These facts emerged from the hearings but were suppressed by the committee chairman, Senator Daniel Inouye of Hawaii. You must understand that tremendous power was involved in both attempts to overthrow the United States Government. William Casey was the Director of the CIA. He was a member of the CFR. Casey was a Knight of Malta. He was the head of Ronald Reagan's political campaign. He was head of the Securities and Exchange Commission. During the Nixon administration he was head of the Export-Import Bank. Piers Compton, in his book The Broken Cross, traces the infiltration of the Catholic Church by the Illuminati. He has found the use of the all-seeing eye in the triangle by leading Catholics and by the Jesuits. It was used in the seal of the Philadelphia Eucharistic Congress in 1976. It was on a special issue of Vatican stamps in 1978, announcing the final Illuminati victory to the world. Mr. Compton claims that Pope John XXIII wore the "all-seeing eye in the triangle" on his personal cross. Compton is adamant that several HUNDRED leading Catholic priests, bishops and cardinals are members of secret societies. He quotes an article in an Italian Journal that lists more than 70 Vatican officials, including Pope Paul VI's private secretary, the director general of Vatican radio, the Archbishop of Florence, the prelate of Milan, the assistant editor of the Vatican newspaper, several Italian bishops, and the abbot of the Order of St. Benedict. Wilson, if you will remember, took an unauthorized trip to Libya and met privately with Libyan officials at a time when travel to Libya had been banned by the President. President Ronald Reagan had called Gadhafi "a mad dog" and made a few strong threats. The U.S. had been resolute in bombing Libya even though civilians were killed. Following Wilson's trip, Gadhafi issued a press release stating that "an American diplomat had been sent to reduce tensions with Libya." The State Department denied that any such thing had taken place. Ambassador Wilson closed his mouth and refused any comment. To this day he has said nothing, even though his actions made a liar of the United States and embarrassed us worldwide. A clue to what was happening is the fact that while we had cut off Libya and even bombed them and while travel by U.S. citizens to Libya was forbidden, five huge oil conglomerates were filling their pockets dealing with Gadhafi. One of the companies was headed by J. Peter Grace, President of W.R. Grace. Eight members of the W.R. Grace Company are members of the Knights of Malta. According to an article by Leslie Geld in the New York Times, administration officials had expressed concern about Mr. Wilson's activities. These actions, they said, often seem to revolve around his contacts and interest in the oil business. Knight of Malta Myron Taylor was President Roosevelf s envoy. Knight of Malta John McCone was President Kennedy's envoy and he was also the Director of the CIA during the early '60s. A former mayor of New York City, Robert Wagner, was President Jimmy Carter's envoy. Frank Shakespeare replaced William Wilson. Frank Shakespeare is a Knight of Malta, and so it goes. President Reagan spoke at the annual Knights of Malta dinner. The Knights of Malta ALL have diplomatic immunity. They can ship goods across borders without paying duty or undergoing customs check. Does that ring any bells? In any case, that is power. The Knights of Malta is held up by a backbone consisting of nobility. Nearly half of the 10,000 members belong to Europe's oldest and most powerful families. 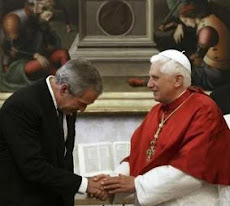 This cements the alliance between the Vatican and the "Black Nobility." The Black Nobility is mostly the rich and powerful of Europe. The head of the Black Nobility is the family that can claim direct descendancy from the last Roman emperor. Maybe now you can see that things are beginning to fall into their proper place. Membership in the Knights of Malta entails obedience to one's superior in THE ORDER and ultimately to the Pope. Therefore, a U.S. ambassador who is also a member of the Knights of Malta faces a conflict of interest. Why is this fact ignored? President Bush appointed Knight of Malta Thomas Melledy to the post of U.S. Ambassador to the Vatican. The Center was set up by the Vatican as a part of the Pope's new peace plan, which will bring the world together (see my paper "The Secret Government"). The Center has two roles: (1) Educate Catholics and their children to accept the New World Order. 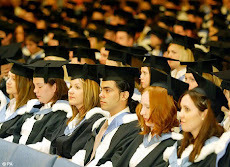 (2) Provide residence for the world-peace-solution computer and an ongoing study for peaceful solutions to any future problems which may endanger world peace. The computer is hooked to the world capitals via satellite. All nations have agreed to relinquish sovereignty to the Pope and submit future problems to the computer for solution. Of course, this will not go into effect until the New World Order is publicly announced. I believe that the New World Order was born in secrecy on January 19,1989. Now you know. The Vatican has stated at various times that "the Pope is for total disarmament; the Pope is for elimination of the sovereignty of the nation states; the Pope is also stating that property rights are not to be considered true property rights. The Pope believes that only the Vatican knows what is right for man." In the early 1940s, the I.G. Farben Chemical Company employed a Polish salesman who sold cyanide to the Nazis for use in Auschwitz. The same salesman also worked as a chemist in the manufacture of the poison gas. This same cyanide gas along with Zyklon B and malathion was used to exterminate millions of Jews and other groups. Their bodies were then burned to ashes in the ovens. After the war the salesman, fearing for his life, joined the Catholic Church and was ordained a priest in 1946. One of his closest friends was Dr. Wolf Szmuness, the mastermind behind the November/78 to October/79 and March/80 to October/81 experimental hepatitis B vaccine trials conducted by the Center for Disease Control in New York, San Francisco and four other American cities that loosed the plague of AIDS upon the American people. The salesman was ordained Poland's youngest bishop in 1958. After a 30-day reign his predecessor was assassinated and our ex-cyanide gas salesman assumed the papacy as Pope John Paul II. 1990 is the right time with the right leaders: ex-chief of the Soviet secret police Mikhail Gorbachev, ex-chief of the CIA George Bush, ex-Nazi cyanide gas salesman Pope John Paul II, all bound by an unholy alliance to ring in the New World Order. it thou shalt not do any work, thou, nor thy son, nor thy daughter, thy man servant, nor thy maid servant, nor thy cattle, nor thy stranger that is within thy gates: for in six days the Lord made heaven and earth, the sea, and all that in them is, and rested the seventh day: wherefore the Lord blessed the Sabbath day, and hallowed it. 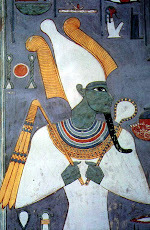 The seventh day, the Sabbath as handed to Moses by God, is Saturday The celebration of Sunday as the Sabbath is verification that the people recognize the Pope as SUPERIOR TO GOD. The only WHOLE people who have not recognized the authority of the Pope are the Jewish people, and that is why the Vatican has not and will not recognize the state of Israel. The Vatican refuses even to call it Israel. Instead the Vatican says Palestine when talking about Israel. AGAIN, I MUST REMIND YOU THAT WHAT YOU BELIEVE MAKES NOT ONE BIT OF DIFFERENCE. THE IMPORTANT THING TO UNDERSTAND IS THAT IF THEY BELIEVE THIS, IT IS GOING TO GIVE YOU NIGHTMARES. "The Pope has a lot of charisma and in a one world system you need a religious head for power. Khomeini proved that. This Pope has enough following and charisma to make what we consider a great threat in this move." [Quote from The Mantooth Report.] "Pope John Paul II is most anxious to complete his goal. His goal is to reunite the Christian World under the LEADERSHIP OF THE PAPACY. If at all possible, he hopes to reach his goal by the end of this century. This is the primary reason behind the Pope's many worldwide trips." [From an article by Gene H. Hogberg, Nov./Dec. 1989, Plain Truth.] Were you aware that Hitler and his entire staff were Catholic? Did you know that the Nazis dabbled in the occult? Did you know that the New York Times of April 14,1990, quotes George Bush as stating, "Lefs forgive the Nazi war criminals." I wonder why he said that? Did you know that the Los Angeles Times, December 12,1984, quoted Pope John Paul II as saying, "Don't go to God for forgiveness of sins, come to me." 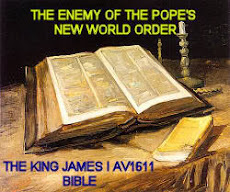 The Pope committed blasphemy, thus fulfilling prophecy according to the book of Revelation. The Pope is telling us that HE IS God! REMEMBER—NEVER WORSHIP A LEADER. IF YOU WORSHIP A LEADER, YOU THEN NO LONGER HAVE THE ABILITY TO RECOGNIZE WHEN YOU HAVE BEEN DECEIVED! On July 21, 1773, Pope Clement XIV "forever annulled and extinguished the Jesuit Order." France, Spain and Portugal had independently come to realize that the Jesuits were meddling in the affairs of the state and were therefore enemies of the government. The Pope's action was a response to pressure applied by the monarchies. King Joseph of Portugal signed a decree "by which the Jesuits were denounced as 'traitors, rebels and enemies to the realm...'" Pope Pius VII in August, 1814, reinstated the Jesuits to all of their former rights and privileges. Ex-President John Adams wrote to his successor, Thomas Jefferson: "I do not like the re-appearance of the Jesuits. If ever there was a body of men who merited eternal damnation on earth...it is this Society..." Jefferson replied: "Like you, I disapprove of the restoration of the Jesuits, for it means a step backwards from light into darkness." The Jesuits are still in trouble today as they have been throughout their existence. On February 28,1982, Pope Paul II told the Jesuits to "keep clear of politics and honor Roman Catholic tradition." U.S. News and World Report stated that the Jesuits had indeed meddled in the affairs of nations. revolution. Some Jesuits have joined Communist parties. One priest in El Salvador has claimed that his order is working for the advancement of Marxism and revolution, not for God....Jesuits have joined left wing rebel movements in Central America and the Philippines, and have advocated a melding of Marxism and Roman Catholicism in what is called 'liberation theology.'" When the United States wanted to employ the nastiest forms of the Haig-Kissinger depopulation policy in Central America it was the Jesuits who organized and prodded the people into civil war. Wherever the Jesuits go, revolution quickly follows. I am always sad when I see or hear of people being hurt; but according to my research, the Jesuit priests murdered in Central America probably deserved it. The most powerful secret organization in the world is the Bilderberg Group, organized in 1952 and named after the hotel where its first meeting took place in 1954. The man who organized the Bilderberg Group, Prince Bernhard of the Netherlands, has the power to veto the Vatican's choice of any Pope it selects. Prince Bernhard has this veto power because his family, the Hapsburgs, are desended from the Roman emperors. Prince Bernhard is the leader of the Black Families. He claims descent from the House of David and thus can truly say that he is related to Jesus. Prince Bernhard, with the help of the CIA, brought the hidden ruling body of the Illuminati into public knowledge as the Bilderberg Group. This is the official alliance that makes up the world governing body. The core of the organization is three committees made up of thirteen members each. Thus the heart of the Bilderberg Group consists of 39 total members of the Illuminati. The three committees are made up exclusively of members of all the different secret groups that make up the Illuminati, the Freemasons, the Vatican, and the Black Nobility. This committee works year round in offices in Switzerland. It determines who is invited to the annual meeting and what policies and plans will be discussed. Every proposal or plan that has ever been discussed at an annual meeting of the Bilderberg Group has come to pass usually within one or two years following the meeting. The Bilderberg Group is directing the "quiet war" that is being waged against us. How can they do it? These are the men who REALLY rule the world. The numbers 3,7,9,11,13,39 and any multiple of these numbers have special meaning to the Illuminati. Notice that the Bilderberg Group has a core of 39 members who are broken into 3 groups of 13 members in each group. Notice that the core of 39 answers to the 13 who make up the Policy Committee. The Chairwoman of the CFR is Carla A. Hills, who served as Secretary of Housing and Urban Development under Gerald Ford (Knight of Malta, 33rd Degree Freemason, Vatican-controlled Bohemian Club) and as Trade Representative under George H.W Bush (Knight of Malta, 33rd Degree Freemason, Vatican-controlled Bohemian Club, Vatican-controlled Skull & Bones aka Papal Knights of Eulogia, CFR). She was an assistant to Attorney General Elliot Richardson, whose son, Henry S. Richardson, is a professor of philosophy at the Jesuit Georgetown University. She is part of the Executive Committee of the Trilateral Commission, and one of the three chairmen of the Trilateral Commission (Peter Sutherland) was Jesuit-trained at Gonzaga College. She is an advisory board member of the Partnership for a Secure America (PSA), which is chaired by Warren Rudman and Lee Hamilton.. Warren Rudman was Jesuit-trained at Boston College Law School and Lee Hamilton has close ties to the Jesuit CIA. Hills is also on the board of American International Group (AIG), which is run by Edward Liddy (It’s CEO), who was trained at the Catholic University of America. Since 1993, Hills has been on the board of Chevron, along with Donald Rice, who was trained at the Roman Catholic University of Notre Dame. The Chairman of the CFR is Robert E. Rubin, who served under Bill Clinton as Treasury Secretary and headed Clinton’s National Economic Council. He was a Clinton crony. Rubin’s ties to Clinton are interesting, since Bill Clinton was Jesuit-trained at Georgetown University, where he was close to the Jesuit faculty (became Class President in his junior year). Rubin has served on the board of the Center for National Policy (CNP), which is led by it’s President, Roman Catholic Tim Roemer (A graduate of the Roman Catholic University of Notre Dame). The Vice Chairman of the CFR is Richard E. Salomon, a senior advisor to the Jesuit cohort David Rockefeller (Who you tell me is SMOM). He is Chairman of the Advisory Board of Blackstone Group. Blackstone Group is run by Peter G. Peterson and Stephen A. Schwarzman. Peterson is married to Joan Cooney, who has received honorary degrees from two Jesuit institutions (Boston College and Georgetown University) and whose mother was Catholic. Peterson co-founded the Concord Coalition along with Warren Rudman, who was Jesuit-trained at Boston College. Peterson was also a crony of Jesuit-trained Bill Clinton. As for Stephen Schwarzman, Schwarzman was a member of Skull & Bones (Which is really the Vatican’s Papal Knights of Eulogia) and he celebrated his 60th birthday on February 13, 2007. One of his friends who attended the party was Cardinal Edward Egan. So, we can see that both of the men running the Blackstone Group, which Saloman had close ties to, are Jesuit coadjutors. The President of the CFR is Richard Haass, a member of the Jesuit-controlled Bilderberg Group (Founded by Jesuit priest Joseph Retinger, S.J. and SMOM Papal Knight Prince Bernhard of the Netherlands). During his time in the US State Department, Haass was a close advisor to Colin Powell, a 33rd Degree Freemason (Admitted on Masonic websites) who addressed the Roman Catholic Marymount University in 2006. Haas was also the US Special Envoy for Northern Ireland, which is 40% Roman Catholic as a country. Haass also served as a special assistant to George H.W Bush, the Knight of Malta, member of the Vatican-controlled Bohemian Club, High-level Freemason, and Skull & Bones Papal Knight of Eulogia. Haass is also a Rhodes Scholar (Rhodes Scholarships have been given out to Jesuit grads, in many cases). 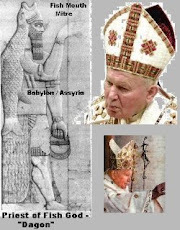 Skull&Bones Papal Knight of Eulogia. the Jesuit Federal Reserve Bank of New York. Motor Company is Alan Mulally, who is Roman Catholic. the Rothschild Family (Guardians of the Papal Treasury). Roman Catholic St. Norbert College in Wisconsin. 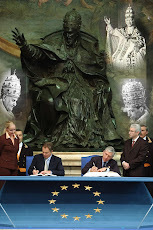 Jesuit cohorts and “guardians of the Papal treasure”. Group, which we already saw is controlled by two Jesuit coadjutors. wife of Jesuit-trained Bill Clinton. and a board member of the Jesuits’ Federal Reserve Bank of New York. woman who has honorary degrees from several Jesuit universities. was Jesuit-trained at Boston College. Roman Catholic Marymount University in 2006. (and you tell me that Harvard has a Jesuit house). Jesuit puppet Bill Clinton (Jesuit-trained at Georgetown University). the former roommate of 4th Degree Knight of Columbus Alan Keyes. member of the Jesuit-controlled Bilderberg Group.